Feel free to discuss your needs with her via email, or book an appointment now. We all know how challenging it can be to sit down and meditate with a still mind. Even thousands of years ago, before full time jobs and mobile phones, the ancient yogis knew how difficult it could be. So they created a series of practises that allowed meditation to become an effortless and joyous process. In our meditation classes you will experience how simple body movements, relaxation breath exercises and guided visualisations can bring you into a state of pure peace and stillness that is effortless. These are methods you will be able to use in your everyday life to de-stress and love life more! Our classes are suitable for everyone, from those who are new to meditation, to even the more experienced meditator. Stay Tuned for our next Meditation Course. 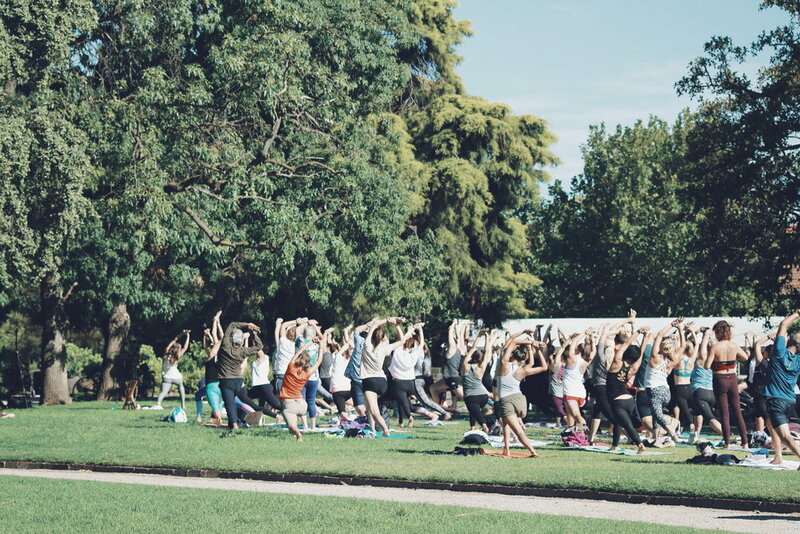 These free yoga and meditation events brought together over 500 participants to the beautiful surroundings of St Kilda’s parks. These fun and light filled practises raised money for charity and brought together like minded people through yoga and meditation. 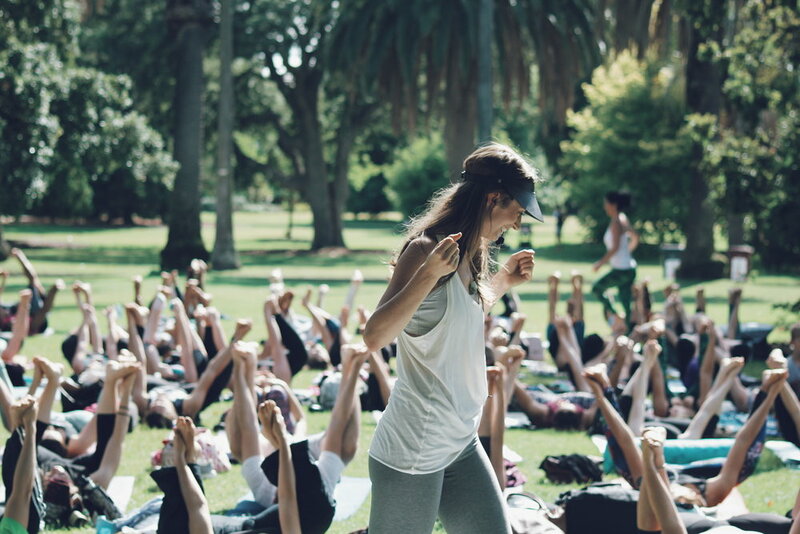 By using postures, breathwork and meditation, our aim was to create A Space for Connection- to connect people to each other, to themselves and to the beauty of nature. These classes were the beginning of a beautiful community of conscious souls which we now like to think of as The Light Collective. Our next free mass yoga event will be February 4th 2018. The practises we offer come from a training in an Indian lineage that fuses intelligent philosophical discourse with healthy habits to create a happier, more content work environment.